Coming soon... 2016 Parade Home! We can build on your lot. Call for details. The 2016 Parade Home by Steve Baker Building is a must see! Located on a quiet cul-de-sac, this spacious home has 1900 sq foot on the first floor and nearly 1500 finished square foot in the walk-out basement featuring an open concept, 4 bedrooms, 3 bathrooms, a dining area, office/formal dining area, a rec room, and plenty of storage. 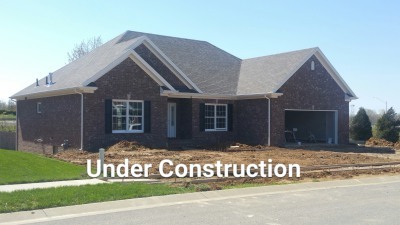 You will enjoy many up-grades including granite counter tops, Amish built Shaker-style cabinets, and a spa-like master bath that includes a tile shower. Don't miss this opportunity! Call Brandi Baker today at 270-314-1045. *More pictures to come in the following weeks. Estimated completion Mid-May 2016.